Hello LOSTIES! Welcome to Blog 4 of Season 3! Exciting stuff. Hopefully it'll be a little more exciting than the episode! For all of the hard hitting violence, romantic plot movement, and big reveals...why was I left unimpressed with this episode? I dunno, maybe I just haven't had time to digest it yet. Maybe because there are still too many story lines hanging out there unresolved. While I do have faith that they will resolve it, why am I getting the feeling that the writers definitely knew what they wanted accomplished in the 1st 6 episodes, so they were willing to stretch some story lines to fit it? (AKA - Jack, Kate and Sawyer's imprisonment). Not sure if I'm as excited about the 6 episode "pod" of episodes anymore, if it gives them imaginary writing constraints to have logical setups and conclusions. But, as always I will keep my blind faith in the producers that they know where they are going with these stories. While I was disappointed, there was still a heck of a lot of interesting things that happened, and tons of stuff to discuss! First of all, we need to RE-HASH last week's episode. 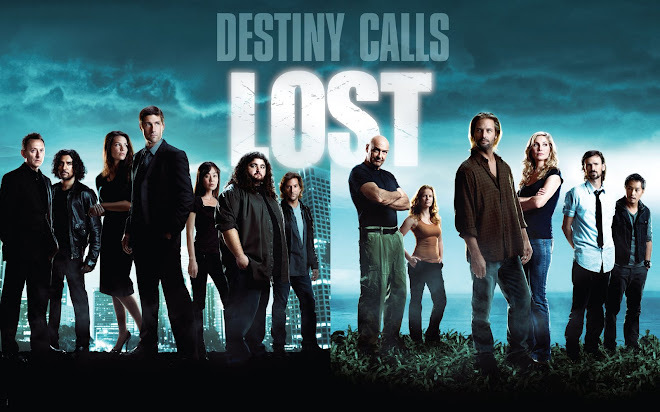 In the blog, I discussed a lot of "Time Travel" theories jokingly as explanation to why Desmond could see the future and Eko was telling Locke about his mission, and couldn't find a reasonable LOGICAL explanation of it all. Well in the comments, we got to discussing it a bit. 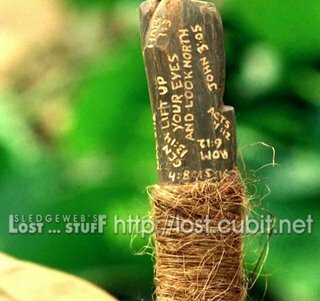 There was the key little missing piece of information I forgot that Locke, Desmond and Eko were missing for 1 day! Well what on earth happened in that day? For all we know they could've been taken in by the others and brainwashed or fed some information. I mean, we didn't even discuss why Eko was in the Cave with the polar bears! There's a whole day missing in the lives of these 3 people, and we need some explanations! I just can't buy into the fact that Desmond can actually see the future! We will need this information as we explore last night's episode. Also the "MISSING DAY" piece will come into play as we discuss Jack, Kate and Sawyer and their Venture to "ISLAND #2." And, remember Henry had told Locke that his whole reason for coming to the hatch was to get Locke and bring him back. If we still believe that is true, he may be testing Locke with this "Rescue Mission" and Jack, Kate, and Sawyer are the bait. Guess we have to keep waiting to see! With that said, let's move on! 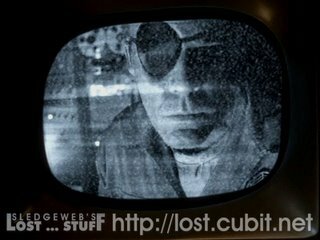 As always, check out lost.abc.com for recaps, Lost goodies, and if you want to watch the episode again on your computer! 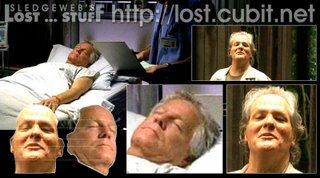 This week's episode featured a Sawyer flashback, movement of the Jack/Kate/Sawyer captivity saga, and we shared a couple scenes with our very own island "MISS CLEO," Desmond and his crazy premonitions. Jack stirs the pot a bit with Juliet very similarly to how Henry questioned why Locke let Jack push him around. Jack questioned why Juliet takes orders from Henry. Juliet was visibly angered as Henry came in bossing her around. Some rumors flying around that Juliet and Henry might not be ex-lovers at all....and in fact, they might be SIBLINGS....and even further than that...TWIN siblings. 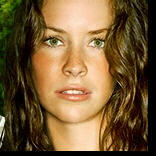 There's always rumors flying rampant about twins on LOST, so this rumor really isn't far-fetched. May not even be far-fetched by saying they were island born descendants of the Degroots. But I can't take credit if this theory comes into fruition. You can read the TV Watch from entertainment weekly and read for yourself! Jack was forced to watch cartoons during his continued imprisonment. Don't know if there was any significance to the actual cartoon showing, but am I mistaken or was that the Disney's "Ugly Duckling" cartoon? I dunno...haven't seen it in ages, but it reminded me of it. Just thought I'd share that useless knowledge. Jack heard Sawyer screaming on the intercom. He thought he had heard his DAD saying something in the intercom in the season premiere (his "DEAD" Dad). Juliet told Jack the intercom doesn't work....well we know for sure that Sawyer was screaming, so what gives??? I guess there is always the question...is Jack's Dad really dead? We saw the corpse! And the producers say he's dead! Dead or not...I think there has to be some involvement of Christian with the island activities PRE-CRASH. When trying to save Colleen we find out that the Paddles are busted and Juliet says they've never really had to revive anyone before. Is this indication that the others are a peaceful breed? With Ethan going on a Killing spree in season 1, I'd hardly think so. We learn that Juliet is a Fertility Doctor. Anyone want to place bets that this will come into play in determining the father of Sun's child? Henry shows more of his evil side by letting Jack sit handcuffed with the recently deceased Colleen for awhile until Juliet comes to the rescue. 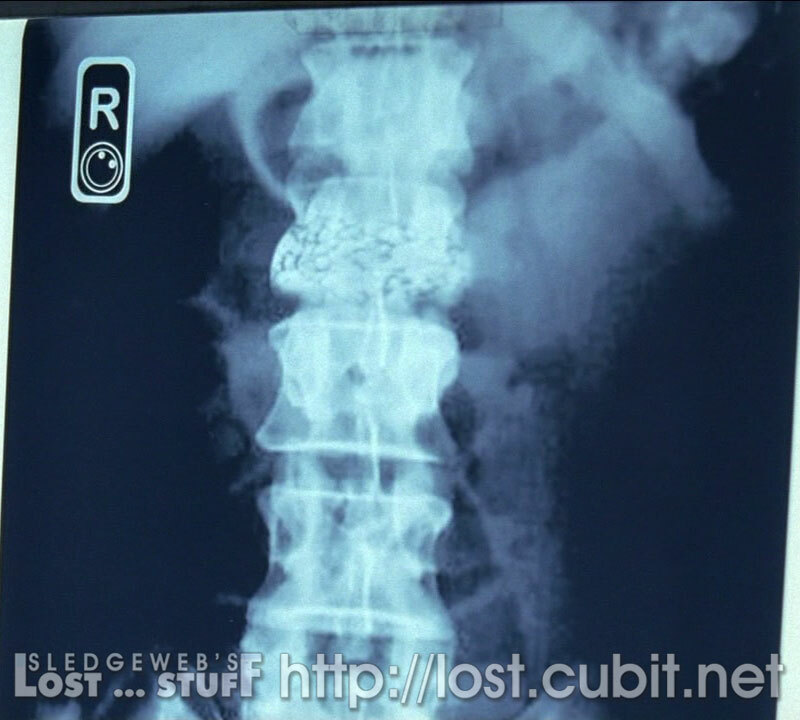 Okay, really only one other thing to touch on with Jack's storyline is the X-Ray. 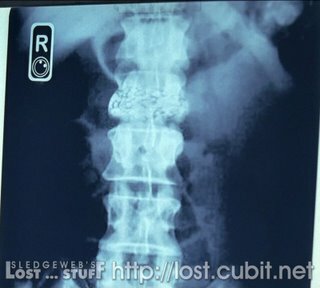 As Jack stated it looks like a man in their 40's has a very large tumor on his vertebrae. So, we can assume that Jack is here to save whoever it is. The question is, WHO does he need to save? The obvious choice would be Ben, but I think that seems too obvious, especially since they lead us to believe that from the previews. Maybe Jack THINKS it's supposed to be Ben. So who else is in their 40's on the island? 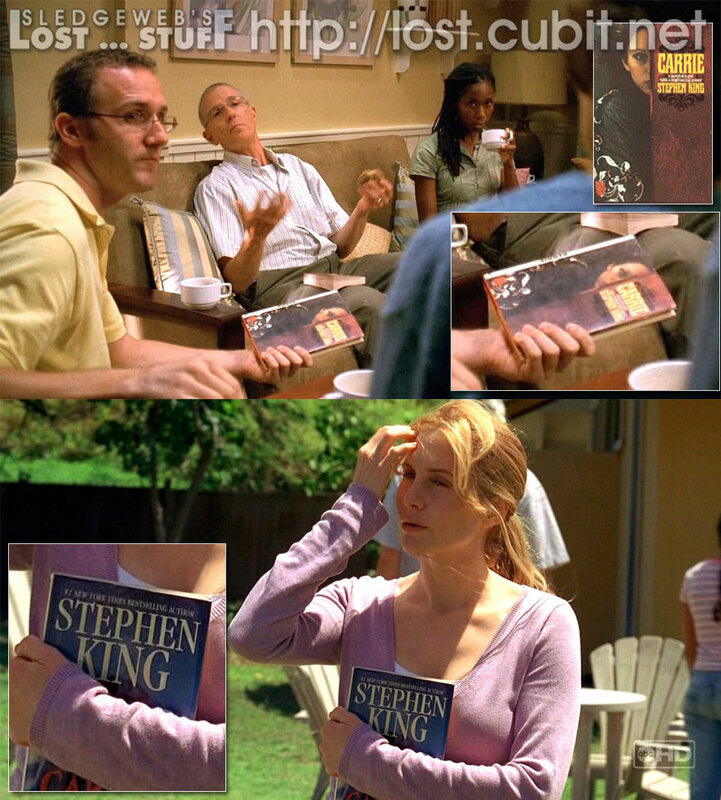 My immediate thought other then Henry was LOCKE. But Locke is older than in his 40's. Unless, the X-rays are not current, and the others snagged those puppies up from awhile ago. So there has to be more to explore here. But we have to assume that there was more of a reason to bring Jack in than to just perform Surgery, right? What else does Ben need him to do before he sends him home? 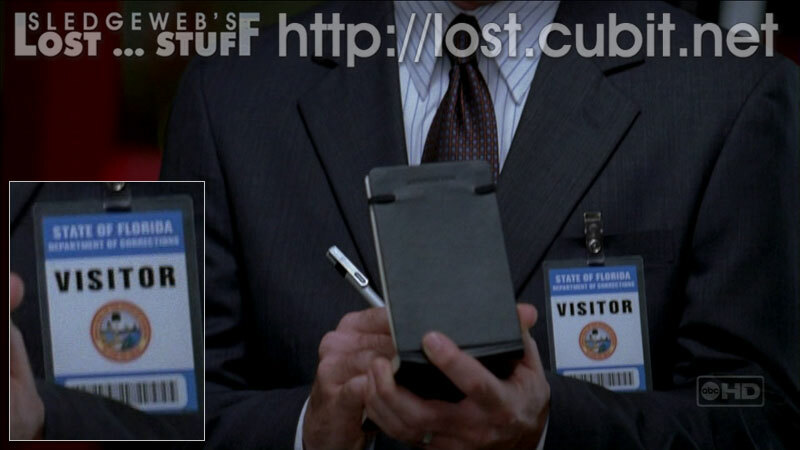 From the ID Badge for the Prison, we determine that Sawyer was imprisoned in Florida. Remember when he told Jack he had been to Tallahassee? Is that where the long Con took place? Apparently Sawyer has some boxing skills and threw a nice set of punches in prison. Sawyer got a nice commission out of his helping the US Treasury. That was kinda bizarre. Wouldn't you think that his Get out of Jail Free ticket would be enough? Apparently Sawyer has a daughter, Clementine, from his relationship with Cassidy. And in an un-"sawyer"like move, he had his entire commission set up in an account in Albuquerque (spelled good enough!) for Clementine with no ability to trace it back to him. Very noble of him. But here's the thing, Sawyer spent a long time teaching Cassidy how to pull of the LONG CON. Maybe she was conning HIM all along? Depends how much that Commission was! Great name for a Band isn't it? Well, I gotta tell you. It was really hard for me to buy into the fact that they actually had planted a Pacemaker into Sawyer to control his rage. It just seemed too much like a mental game right from the start to me. I just couldn't see Sawyer having to control his heart rate for the remainder of his life on Lost Island. I'll be the first to admit though, I have no idea how easy it is to install or remove a pacemaker! So maybe it's my ignorance that led me to know it was a GAME! Anyway, it led to some nice dramatic scenes with Kate (whom he wasn't allowed to tell about the pacemaker or else she'd get a matching one) and the big reveal at the end. Sawyer has to control his emotions in an array of different ways, watching Kate get dressed (loved the heart rate monitor! ), getting beaten to a bloody pulp by Pickett who was taking his anger on him for Colleen's death, and even some nice mountain climbing action! Henry also got in on the fun of beating up Sawyer who outsmarted him with the Electric Shock POLAR BEAR button. Henry had some crazy strength that he was using in his beating. Reminded me of Ethan's strength in season 1 when he just kept bouncing back from several hard punches from Jack. Kate and Sawyer get their first Glimpse of Jack as he's being moved (blindfolded) to the Operating Room. They were able to drown out Kate and Sawyer's screams with a deafening sound. Okay, before we get into the big reveal can I just say how much I loved the interaction between Henry and Sawyer? The whole Of Mice and Men bit was fantastic. And of course Ben's "You're good Sawyer. But We're Better" line was stupendous. Of course he was referencing to conning a con-man. The question is....is the CON still on? And that's our beautiful segueway into the big reveal. Oh yes, Apparently these guys are not even on the same island they crashed on anymore! But I'm not totally convinced that's true yet. Sure we've been talking about this mysterious POWER CABLE that just seemed to go into the middle of the Ocean, and the Shark with the DHARMA Logo that Michael and Sawyer saw off the coast of the Survivor's camp. But we never saw an ISLAND just sitting out there! Is it possible that the island was always there but just out of view from the survivor's? Even from the Tailies camp? The only thing I could come up with (and the TV Watch person shared with me) was that apparently this Alcatraz*2 island is cloaked somehow where you can't see it from the other island? What else ties in here? Well, let's recall how Desmond tried to sail away from the island and ended up right back AT the island (he called it a "bloody snooo globe!" like my Scottish accent?) And if we go back a couple episodes in this season Juliet made a comment "Who cares if they have a sailboat, they're just going to sail around in circles!" 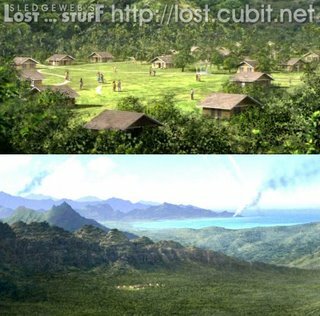 And of course, all the references that the island cannot be detected by the outside world. WHERE IS THIS ISLAND??? So it works both ways? you can't see in OR out from the island? Then how did Henry show Sawyer the island? 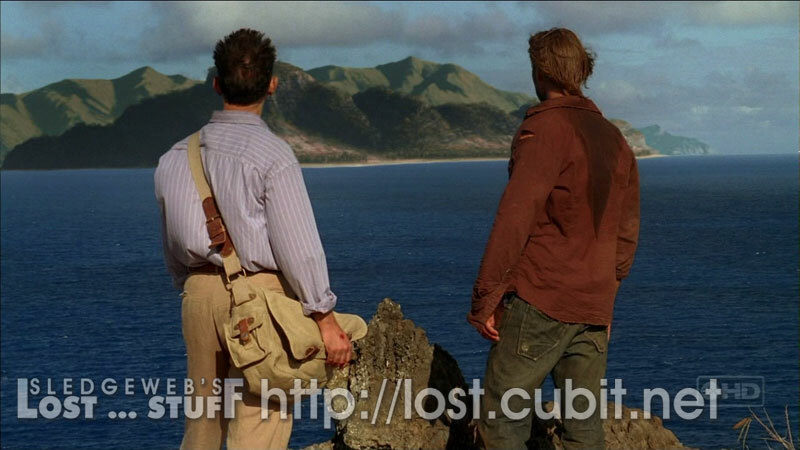 More questions....how on earth did they move Kate, Sawyer and Jack to this 2nd island without them knowing it? Again, we're missing a day when they were brought to this imprisonment. We did see them at a DOCK. And we have heard references of this "Ferry" from the Pearl station (which we see in previews for next week). But unless the 3 heroes were unconscious..how would they not have known they were put on a boat and taken to another island? Oh right....did Juliet mention that a SUB was back in this episode too? Okay, so they have a submarine now? Same questions! And where is the OTHER's camp? (you know Suburban Othersville? )....it looked like that WAS on the same island. We also had Ethan and Goodwyn RUNNING to the crash sites.....So do the others live in a different place than the Hydra station Island? Or are we still on the same island? I know I know....you come here looking for answers.....but we always leave just asking more questions! And I always answer it with...I guess we'll find out eventually! Alrighty, so on to Desmond and him saying he could fix Claire's Roof and Charlie saying he's "HANDY" in his crazy accent. Desmond once again reveals to the survivors that he is seeing things before they happen and that he prevented lighting from striking Claire's "tent" by creating a lighting rod with a golf club. And we continue to ask...HOW is he doing that??? Well this is a little more problematic than him knowing about Locke's speech. The speech could've been part of a brainwashing or a pre-planned session where Desmond and Eko knew about the speech and just had to tell people about it. Now we're talking about knowing when lightning is going to strike an exact spot. Well, remember when Locke predicted when it was going to rain in season 1? What was that all about? It's like he had found some system to when it was going to rain. And well....back to the theory that the Island is in some controlled environment....can they dictate when it's going to rain and also pinpoint exactly where they want lightning to strike? That would seem a little odd. But little by little...the survivors are believing that Desmond can see the future. However this is possible, I'm sure will eventually be explained. Okay, that's all I got. Feel free to share your thoughts as well. We got into some good discussion last week! That was always my dream for this blog! If not, just keep on reading. 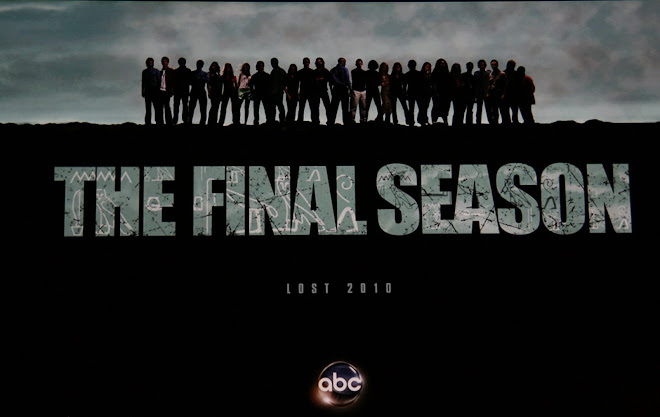 See you next week when we begin to realize that EVERYTHING WE EVER THOUGHT ABOUT LOST WILL CHANGE FOREVER! Thanks ABC for your crazy over dramatic promos! Hello Time Traveling Losties welcome to the blog that knows all that happens before it happens! Oh my bad...that's our resident "Island Merlin," Desmond! But we're way ahead of ourselves! But that was one crazy episode wasn't it? That hatch messed those kids up! 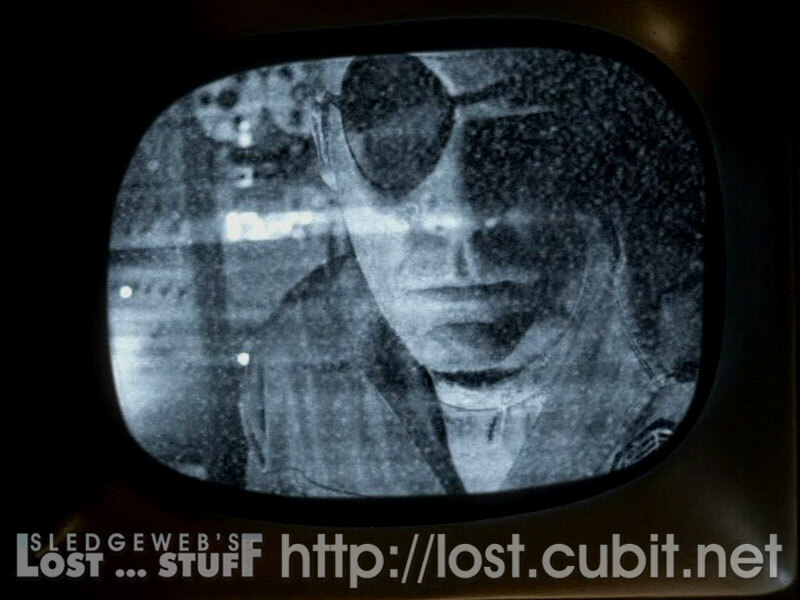 Anyways, here we are for another edition of the Lost Blog. I apologize for not providing the link in my email last week. But seriously everyone, have you not bookmarked this page yet? lostaddicts208.blogspot.com. If not, just hit Ctrl-D right now! Ahhh there we go...all bookmarked now! If you don't trust your bookmarks, then just memorize it! And if all of that fails, then keep on trusting that I'll throw a link in an email that someone will ultimately be forwarded your way! 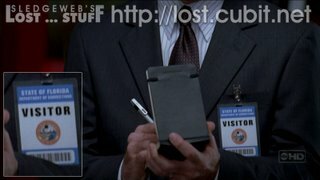 As always check out lost.abc.com for Episode Recaps and to rewatch the episode. Let's dive in! So we finally get back to Island life for the rest of our core survivors, which was a relief for most viewers. But we mainly focus on our Hatch-Implosion survivors, and even more specifically focused on Mr. John Locke. We dig more into his Pre-Island life as well as his communication with the Island in his pursuit to rescue Mr. Eko. In Locke's flashback we didn't learn what we thought we would learn (i.e. the incident that lead to his paralysis), but we did get some good dirt on John Locke. And we met a slew of new characters to his backstory. This flashback takes place in California sometime after Locke has been betrayed by his father and after Helen left him (I think!). We meet Eddie, who seems to be a hitchhiker but ends up being an undercover cop. We meet Mike and Jan, head of the Pot Farm foundation who have taken Locke in when everyone else had deserted him. We learn Locke had a licence for multiple firearms. 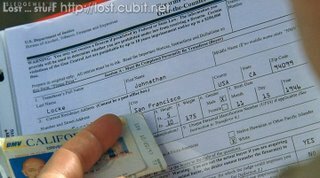 There are inconsistencies between his Driver's Licence (which has a bald picture of Locke on it and a different birthdate) and the firearms licence. This could be a prop error. But I'll throw the picture in here for speculation. Click on image to expand. John asks Eddie at Gunpoint if he was chosen and why. Eddie tells him that his psych profile said he would be amenable for coercion. Eddie goes on to tell Locke "You're not going to shoot me, you're not a murderer. You're a good man, you're a farmer" Locke insists that he is a hunter, which is a theme throughout the episode. Something interesting to note. Colleen made a very similar when Sun held her at gunpoint last week. "you're not going to shoot me, you don't have murder in you" While John didn't shoot Eddie, Sun DID shoot Colleen. Many have speculated that Sun, in fact, pushed JAE (Baldy #2) over the edge after Jin left the hotel. Is there any relevance to these comments being in back-to-back episodes? Also, is Eddie with the OTHERs too? Keep a look out for more with the characters we met in Locke's flashback. Mike, Jan, and the crazy Guard guy with the Mullet. I don't think we've seen any of them anywhere else yet, but I wouldn't be surprised if we do! We open up with Locke lying on the ground, teasing us with the idea that he may be unable to walk again. Instead, he is unable to TALK instead. He sees Desmond running naked in the Jungle and is unable to say anything. And eventually encounters Charlie who is enjoying every minute of Locke's new disability and need for help. We learn that Charlie has not forgiven Locke for punching him in the face several times when he suspected him of "using" again. But Regardless Locke recruits Charlie to help him talk to the island to find out his next mission. Now that the Hatch is gone, John needs a new purpose! Crazy Locke went ahead and created his own sweat lodge near the unfinished Church and asked Charlie to stand guard. It looks like what Locke was concocting was the same Drug that he put in Boone's cut in season 1 that had Boone hallucinate and see Shannon die. Locke ingested the drug this time (much to Charlie's anger for his hypocritical conduct) and had a vision of his own. Before we get into the vision, can we assume that Locke has learned how to create this drug from his employment on the POT Farm? And how did he originally know that this would induce visions from the Island that would instruct him on his mission? And of course...HOW are these visions happening is always a recurring question! Yeah, I'm pretty sure this is a topic that they're using over and over for a reason! We need to know where these visions are coming from! And if the island is inducing them, WHO is doing it and HOW? Claire, Charlie and Aaron - Boone "Not them, they'll be alright, for awhile" The "For Awhile" is intriguing. Looks like they haven't given up their quest for baby Aaron yet. And they may have some interest in the other 2 as well. Sun and Jin fighting and Sayid with them - Boone: "I think Sayid's got it" Wasn't sure if they were addressing the fact that all is not HAPPY in the world of Sun and Jin. Hurley entering Hatch numbers at check-in counter - Locke frustrated seeing the numbers again - Boone: "Not Hurley"
Kate and Sawyer flirting, Jack a bit ahead of them at the metal detector getting wanded by Henry - Boone "There's nothing you can do for them. Not Yet" (TSA initials on Henry's shirt, no idea if it's important) "First you have to clean up your own mess"
John follows Boone up the escalator (symbolic of Boone climbing up into the plane to his ultimate doom?) We see Eko's bloody Jesus Stick and a Bloody Boone requests John to clean it up!" Locke wakes up in his Sweat Lodge and sees a vision of Polar Bear as he leaves crazy hut. And at this time he is able to talk again. Again, I'm not sure the significance of his inability to talk immediately after the hatch implosion. Since Charlie has had visions too, does he believe Locke has actually had a vision of Boone and has to follow his mission? Loved the scene where they're being chased by the Polar Bear and then Locke throws a knife at Hurley. "DUUUUDE!" 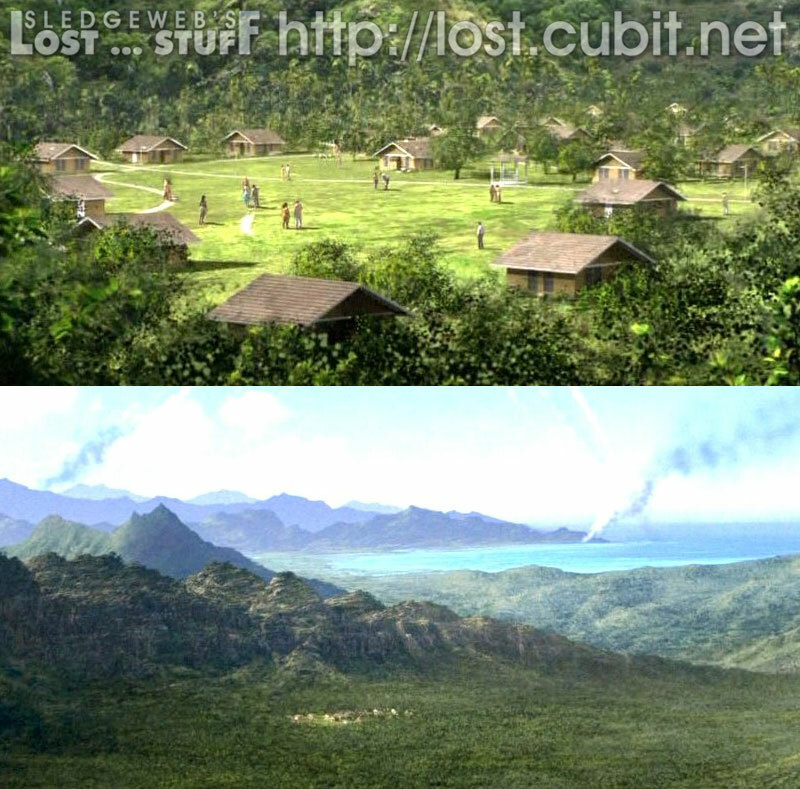 Their encounter with Hurley here sets up another great addition to the LOST Mythology that we'll get to in a bit. 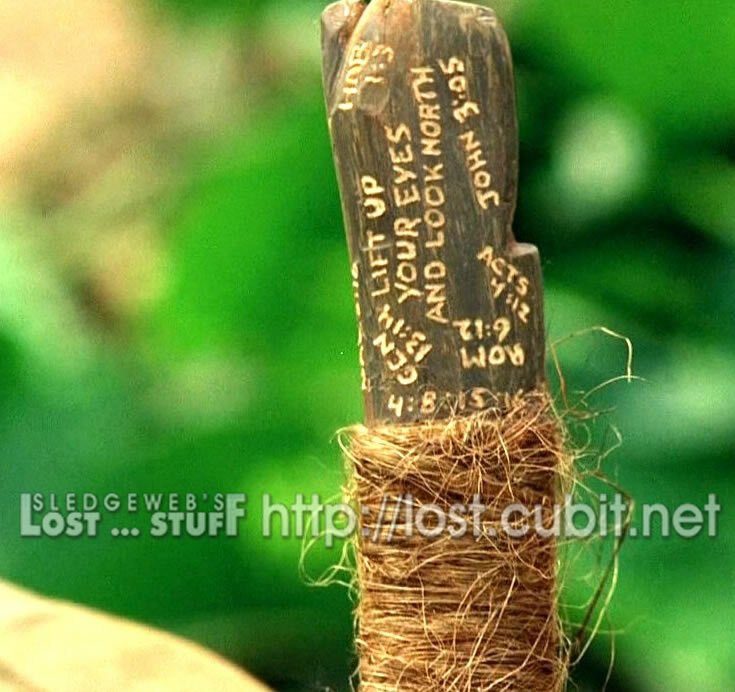 In the beginning of the episode Locke sees Eko's stick. It has a new inscription on it for Genesis 13:14 "Lift up your eyes and Look North" The actual passage reads "Now lift up your eyes and look from the place where you are, northward and southward and eastward and westward" Perhaps this is an indication to John to go North to rescue the other friends when the time comes? Perhaps it's nothing! In the Cave, we see a skull with a cloth/shirt near it. It has a Dharma Logo on it. We also see a TONKA Truck. hmmm....does our polar bear like toys? Or maybe it's a reference to all of the children that have been kidnapped on the island? The Tonka truck was relatively old too....like 80's style. Just another indication that there have been many residents of this island before Flight 815 crashed there. After Locke rescues Eko (with the Macgyver Flaming Hairspray) Locke apologizes to Eko for doubting him while he should've been out helping Jack, Kate, Sawyer and crew. Still looking for purpose in his life, he was convinced he could've SAVED them. Eko, who appeared to be unconscious begins talking to John "You can still protect them, you can still save them. You will find them. Afterall, you are a hunter John. " Charlie returns, and Eko remains to still be unconscious. 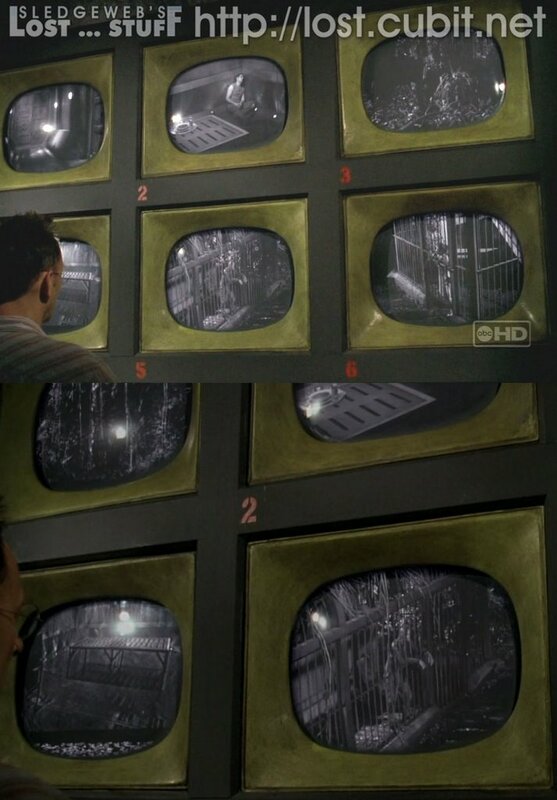 One thing is for sure, Locke, Eko, and Desmond are all acting very strangely following the implosion of the Hatch. We just don't have enough information yet to know WHY! Speaking of the hatch, we do get to see a hole in the ground where the hatch was. And nothing seems to be remaining from the Hatch except the 3 people that were in there. And one of them lost his clothes too! BRILLIANT SEGUE WAY! Ahhh was Hurley missed big time in the first 2 episodes. He always seems to be the voice of the audience. And we even got a bit of the Charlie/Hurley comic relief Duo in this episode when Hurley learns about the Polar Bear and Locke's mission to find Eko and Chase the bears. On Hurley's journey back to the camp to tell everyone about the "kidnapping" he runs into a Scottish fella looking for some clothes! Of course before Hurley realizes it is Desmond he calls out "Bear, is that you?" FANTASTIC! 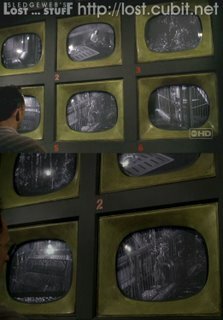 So Desmond loses his clothes in the Hatch implosion and is the only one to lose them. He also was underground turning that fail-safe key. What exactly happened to him? We'll touch on that in a bit. Love how Hurley continues to be a voice of the people who watched a whole season of pushing a button only to learn that they could stop it all with a Fail-safe Key. Convenient isn't it? The solution? Desmond just says he didn't know what would happen. But what DID happen? "Must've detonated the electromagnetic anomaly, made the hatch implode." We learn that Desmond missed seeing the purple sky or feeling the island vibrate. Was he even around to experience that??? When Hurley begins to complain about going after their friends, Desmond quickly tells Hurley "Locke is going to go after them, he said so in his speech!" hmmmmm what speech? "I'm going to find our friends. I don't know how. We're going to find them and we're going to bring them home." Well, this naturally is the big mystery that will be boggling our minds for some time into the future. Did Desmond have a vision of the future? Did he actually VISIT the future? There were speculations on the Internet (albeit, joking speculations) that maybe he is traveling through time like the Terminator did in the James Cameron flicks. They couldn't travel through time with their clothes on either! I'll stick with the notion that something ELSE is up. But it brings up some valid questions about TIME in relation to the island. Like, is TIME on the island moving at the same pace as TIME OFF of the island? For instance, if it is November 2004 on the island, is it October 2006 OFF of the island? The producers have hinted in the podcast that this COULD be the case, but you can never tell if they're pulling our chain or not. But the producers have also explained that they have written WALT's aging process into the show. (since he was like 10 when the show started...he's going to be like 13 when he returns! but only 2 months and change have passed!). Also, Henry says he's been on the island his whole life. We can assume he's in his 40's, right? Doesn't that Pre-Date the DHARMA Initiative by 10-15 years? There are people that lived on this island prior to DHARMA, maybe prior to the others. What about that crazy GIANT FOOT that we saw in the finale? Hmm...how did I get to talking about feet? Oh, right, TIME TRAVEL. Well, I don't think we're going to be jumping into the world of NBC's Heroes and bending the space-time continuum just yet. The producers have also said that everything will be able to be realistically explained and in an UN-Supernatural way. I'm still enjoying the ride for now! Also NEW CASTMEMBER ALERT! Paulo (Rodrigo Santoro) and Nikki (Kylie Sanchez) are recurring castmembers this year and showed up at the very end of the episode. I guess we're meant to believe they were survivors of the crash all along. Whew, long blog again! Sorry about that....hope I didn't lose anyone along the way! Thus, we close the books on the continuing cultural phenomenon (known as this blog!). One day I would love to know how many people are actually reading this thing! It is my dream that every reader will one day decide to post a comment and say "Hi Mike, I READ THIS BLOG! now stop making me feel guilty for not commenting and let me enjoy the show you freak!" Ahhh yes....music to my ears! Ok, in all seriousness, 3 episodes left this fall. 3 Recaps to go! Catch you next week sometime!